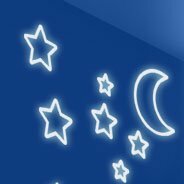 Glow in the dark wall decals stars and moon come in pack of 38 stars from 0.5" to 3" and 1 moon diameter 23". 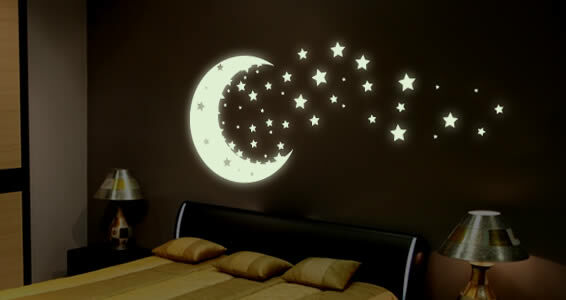 For the larger set, the moon come in diameter 33" and 47"! 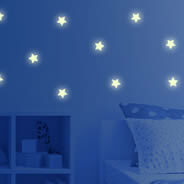 Glow in the dark wall decal stars only come in a light greenish color. 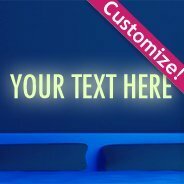 No other colors available! 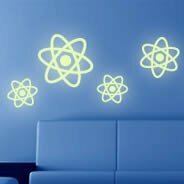 Our glow decals are made of premium phosphorescent material: fully charged it will brightly shine for 10 hours straight. 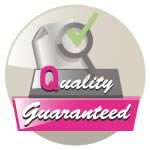 It will recharge with the day light or with any artificial light. 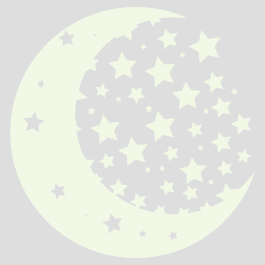 Your night will become magical with this enchanting decal. 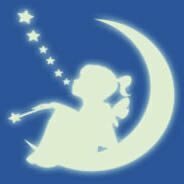 Have a look to our Moon girl stickers. 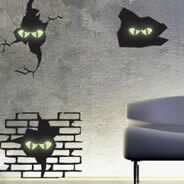 Please note: the glow in the dark wall decal stars displayed on the picture is the 47"x47" size.